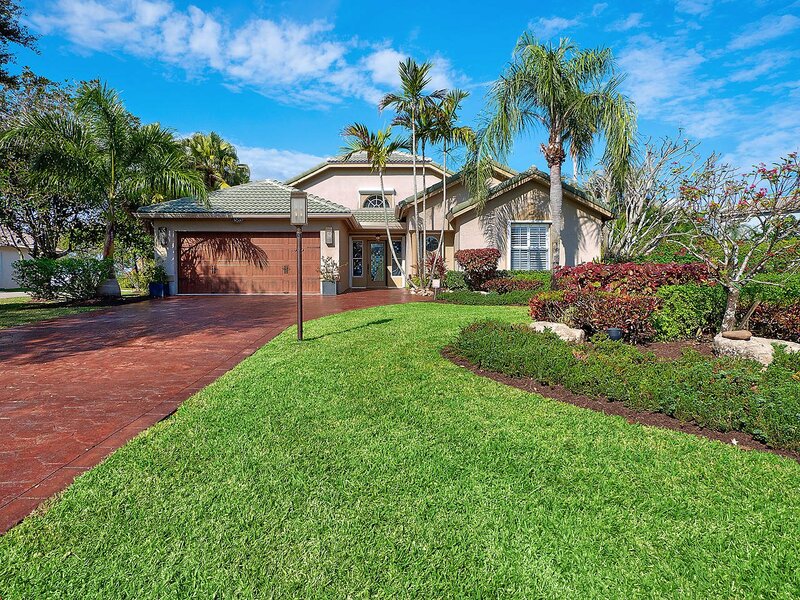 Curb appeal! 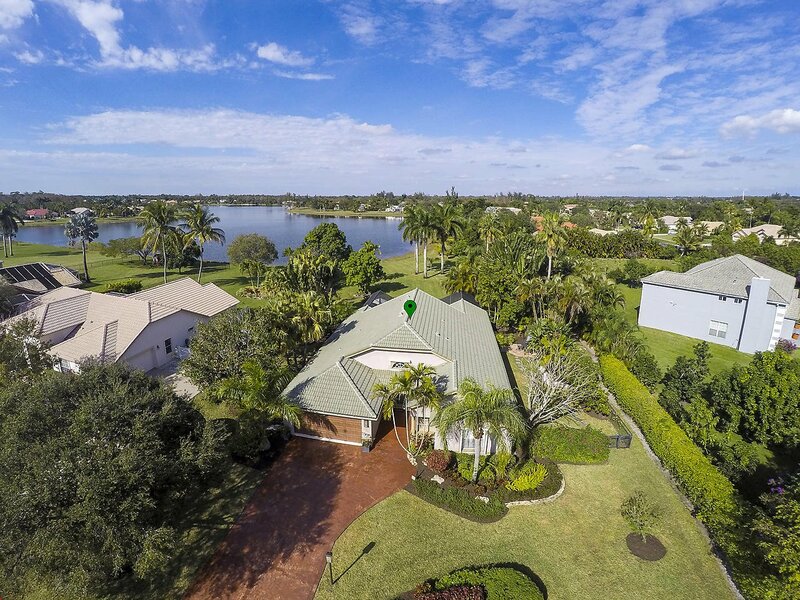 This gorgeous 3 bedroom, 2.5 bathroom, 2 car garage, pool home, with grand lake views does not disappoint. 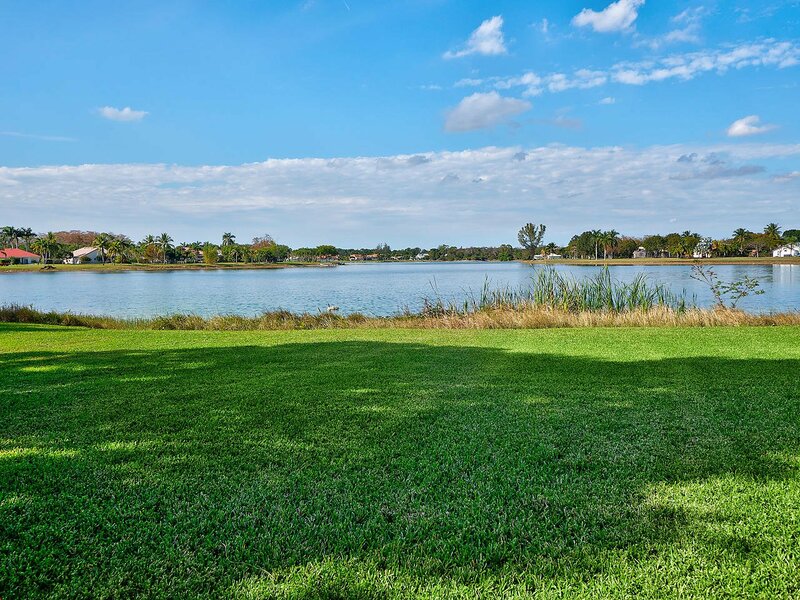 It is on one of the best lots located in the HIGHLY DESIRED community of Legend Lake Estates! 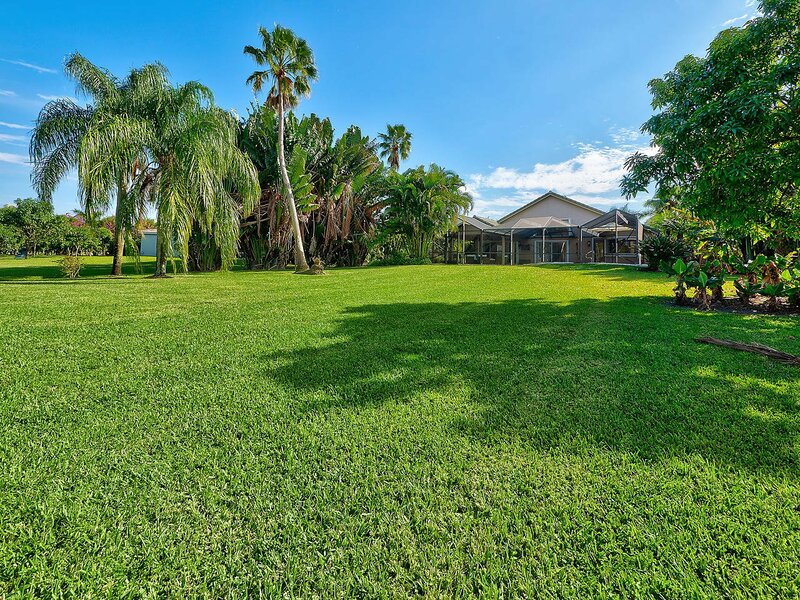 The lot is over 1/2 an acre and you can't beat the low HOA fees. 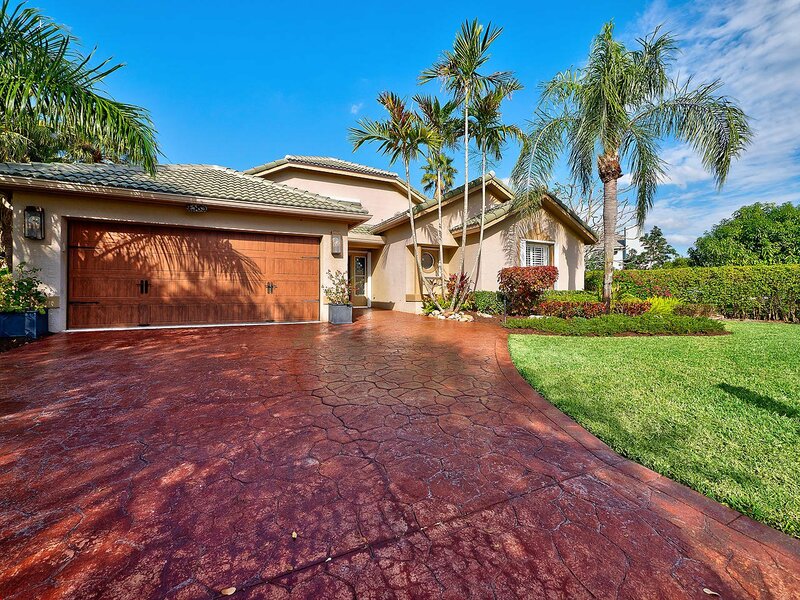 You are immediately greeted by the beautifully finished, large extended driveway, and manicured landscaping. 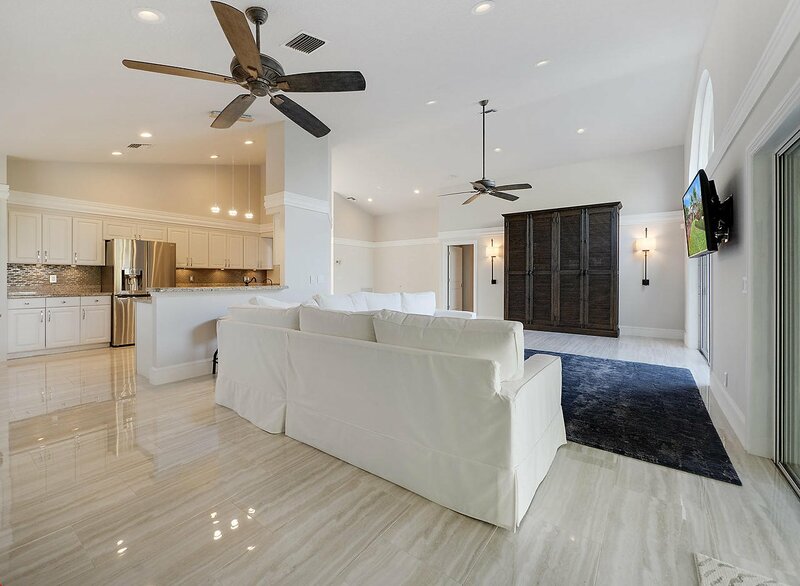 The inside was elegantly renovated with a modern look in mind. 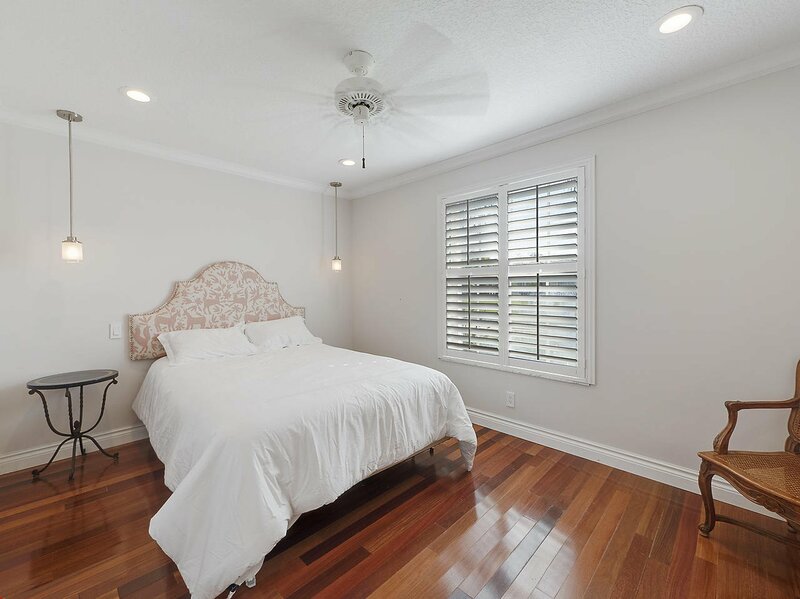 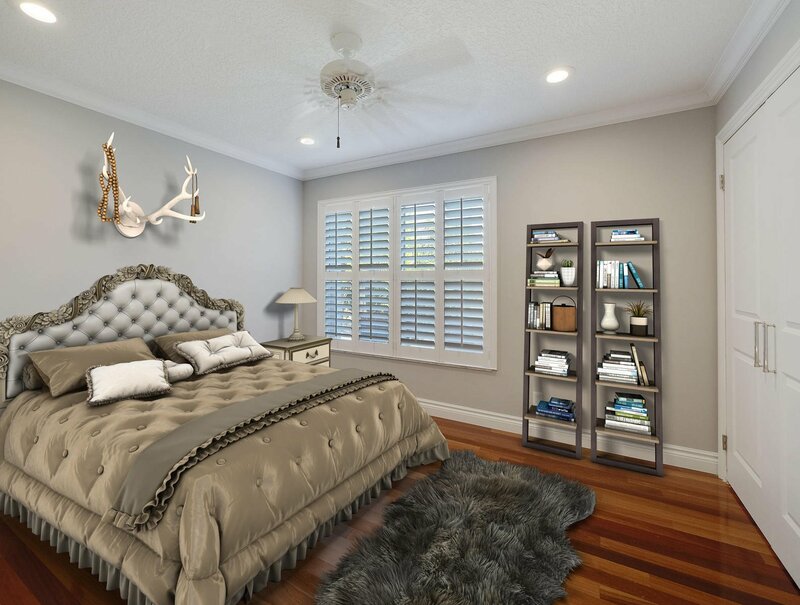 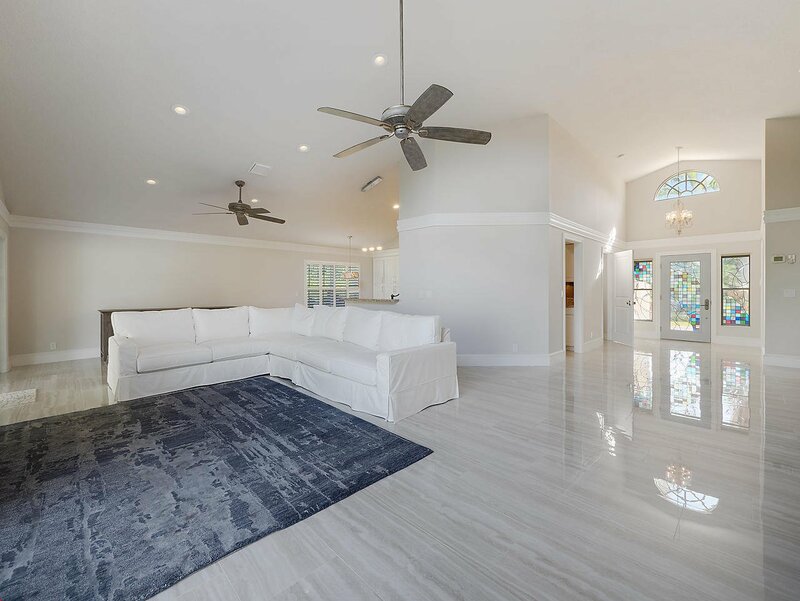 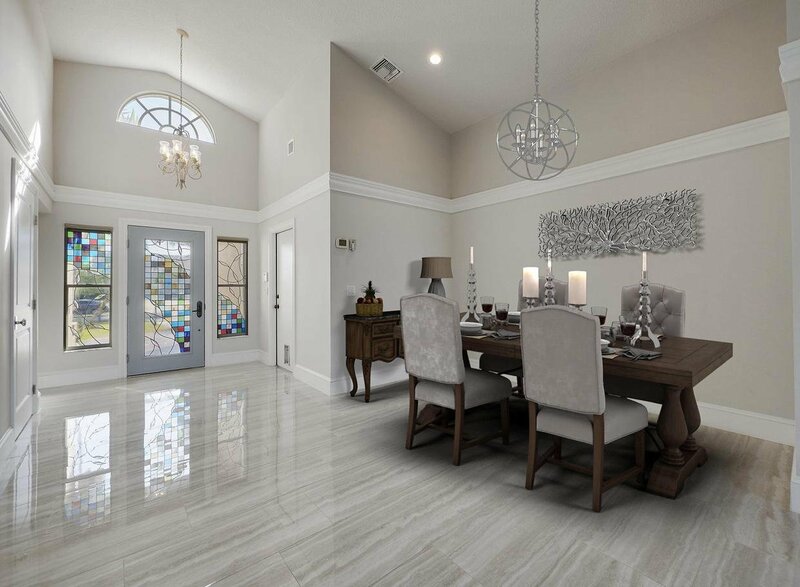 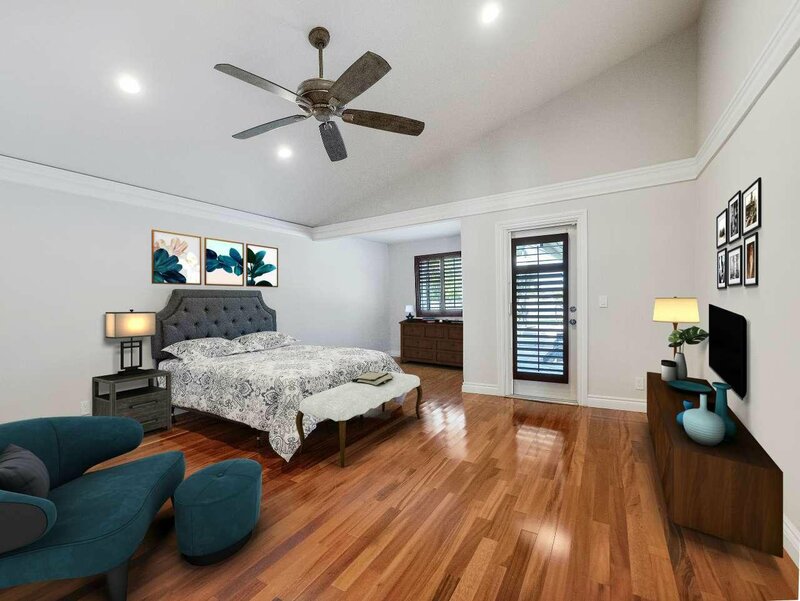 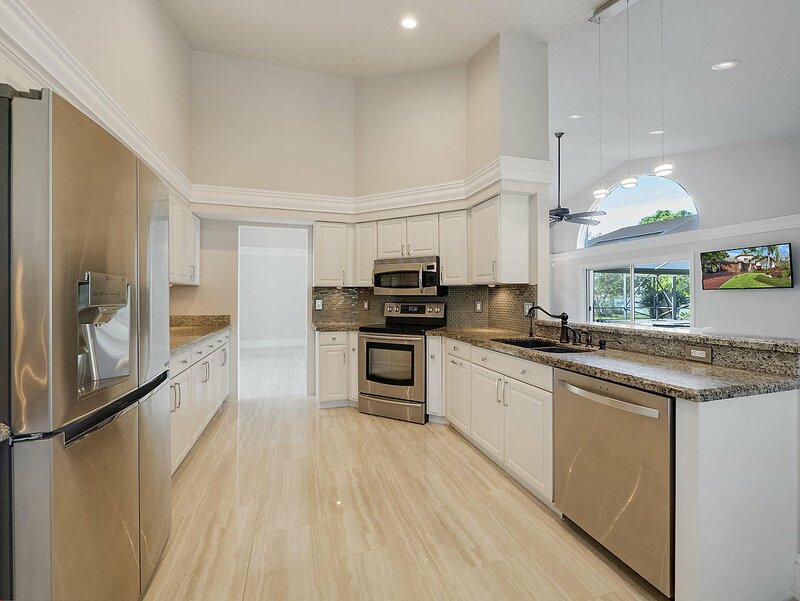 Throughout the entire home, the new crown molding, plantation shutters and baseboards complement the freshly painted neutral colored walls and newly tiled porcelain floors, giving the open layout home a clean and crisp feel. 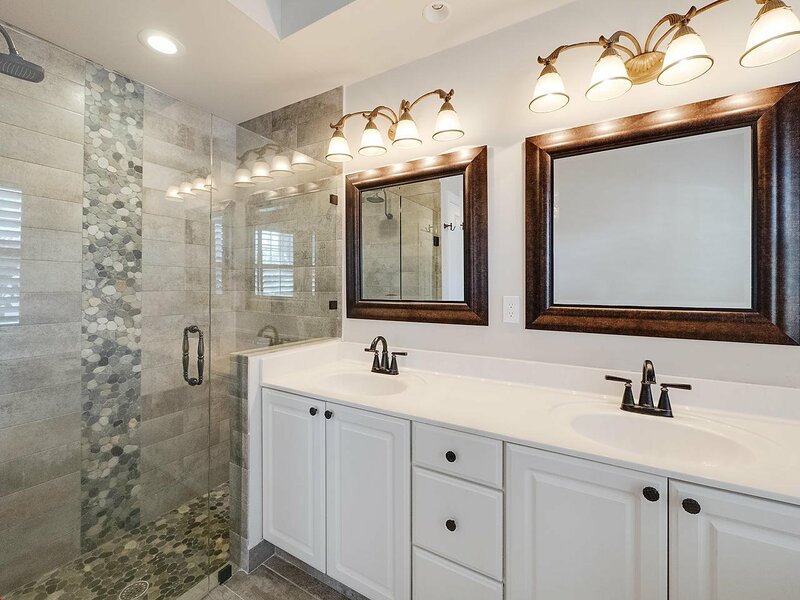 The lighting features include brand new recessed lighting, dimmers, pendant fixtures, and ceiling fans. 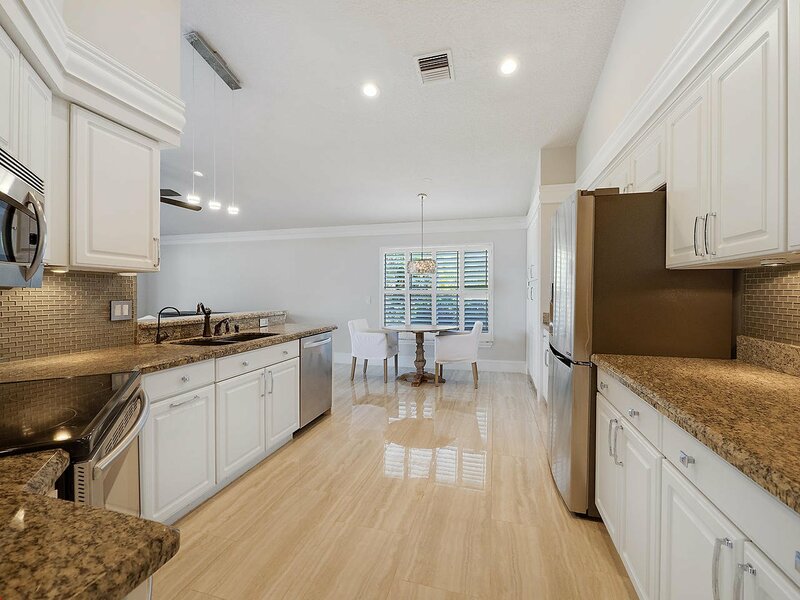 The kitchen boasts granite counter tops, wood cabinets, new stainless steel appliances, new hardware, top of the line finishes, and a large pantry. 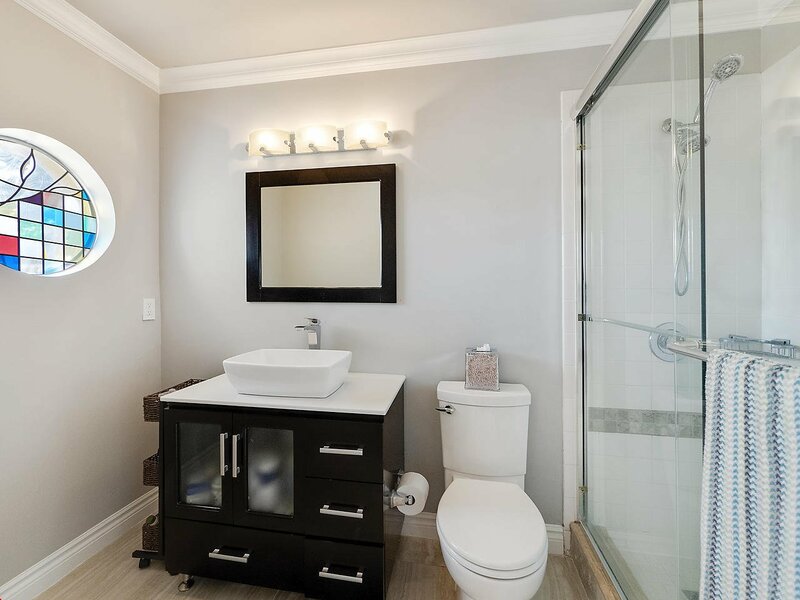 Each bathroom was also updated and the bedrooms all have wood floors. 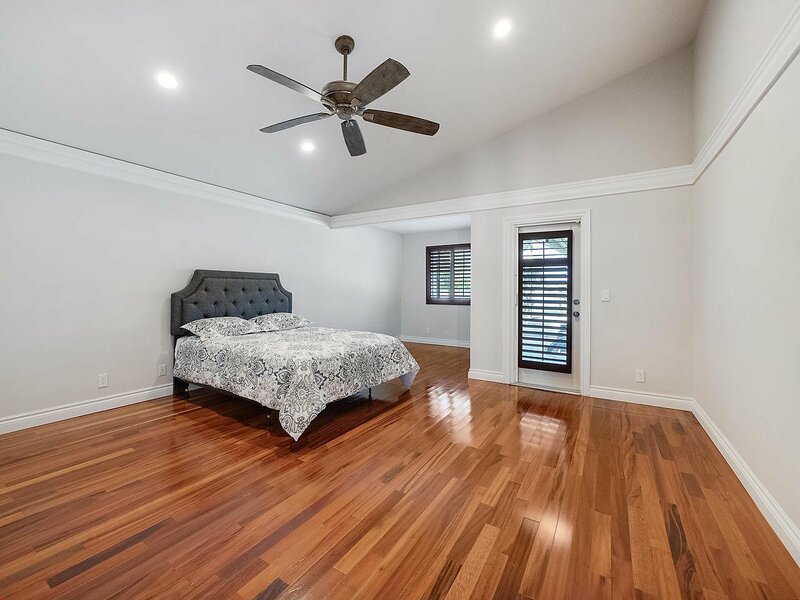 The master bedroom features Koa hardwood floors. 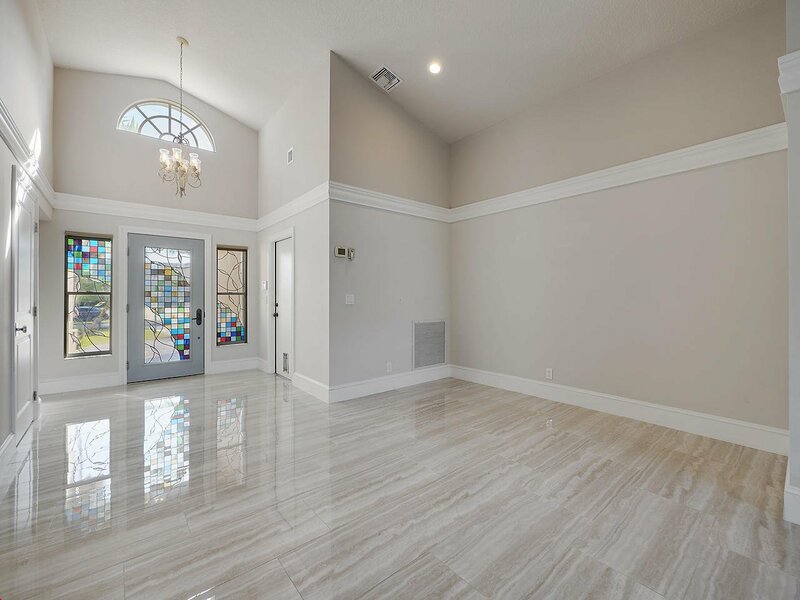 The variance in colors is spectacular and unique! 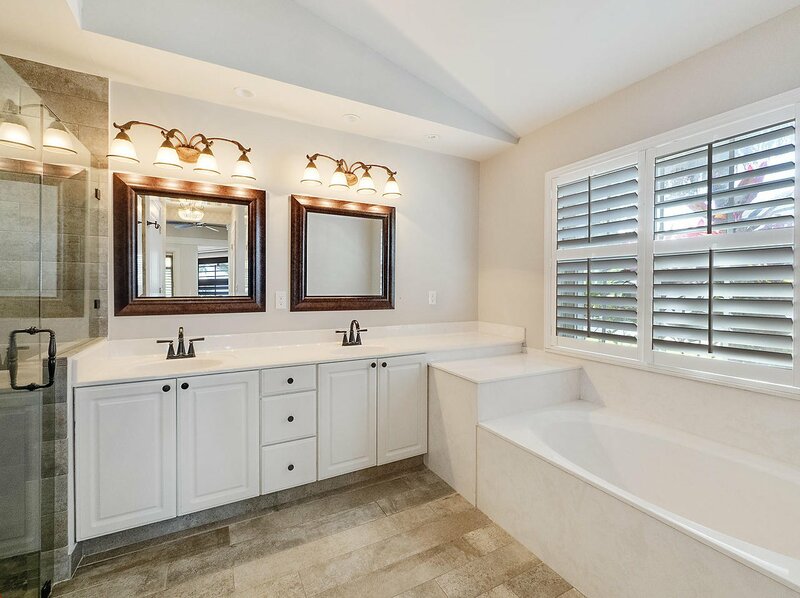 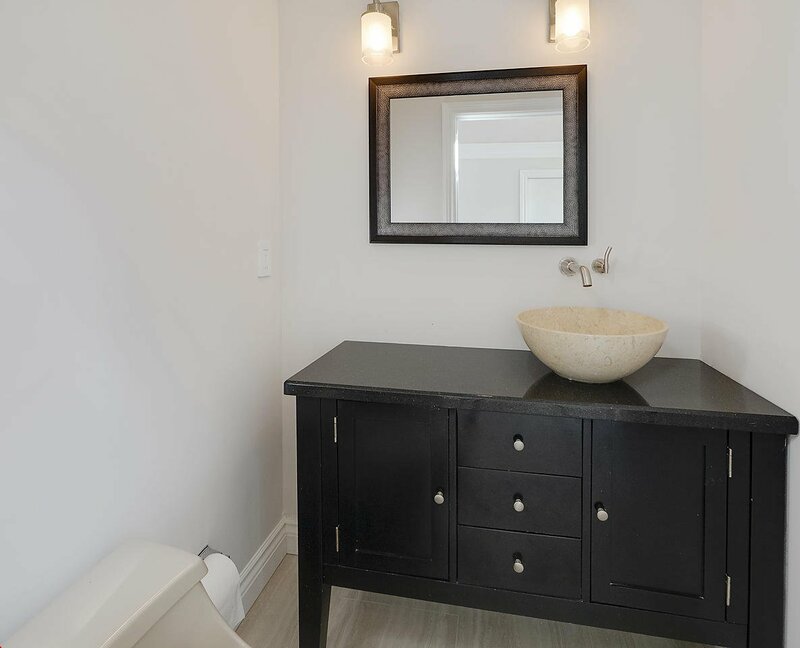 The master bathroom offers a double sink vanity, bathtub and a separate shower, with frame-less glass doors. 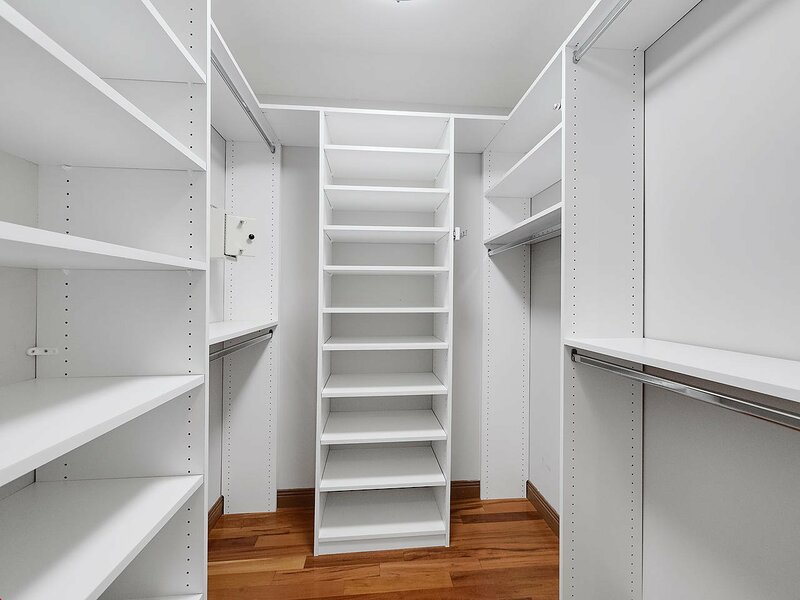 All closets have custom organizers installed, with top of the line finishes. 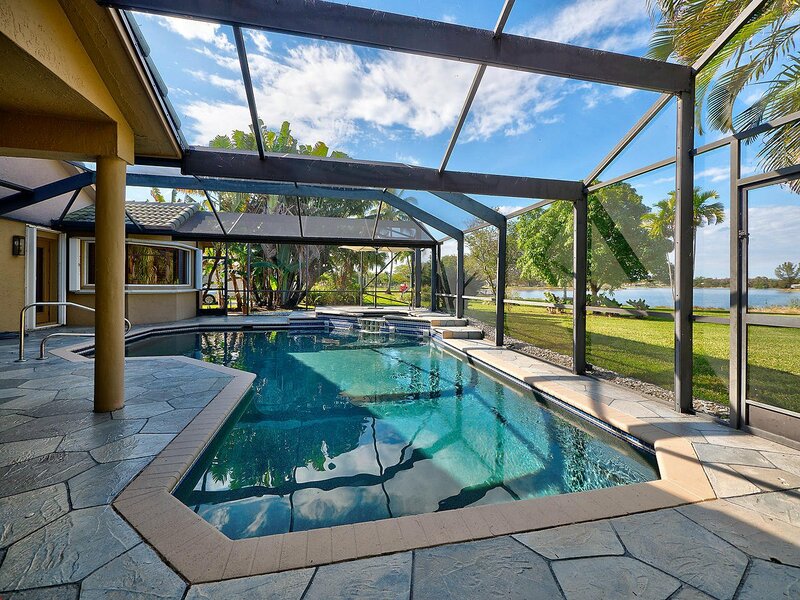 From the living room, you will have views of the pool, backyard and lake. 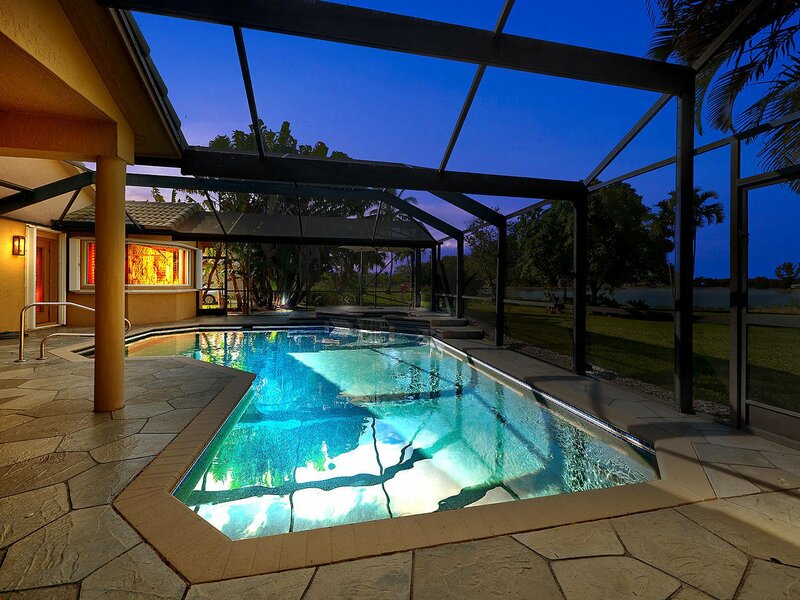 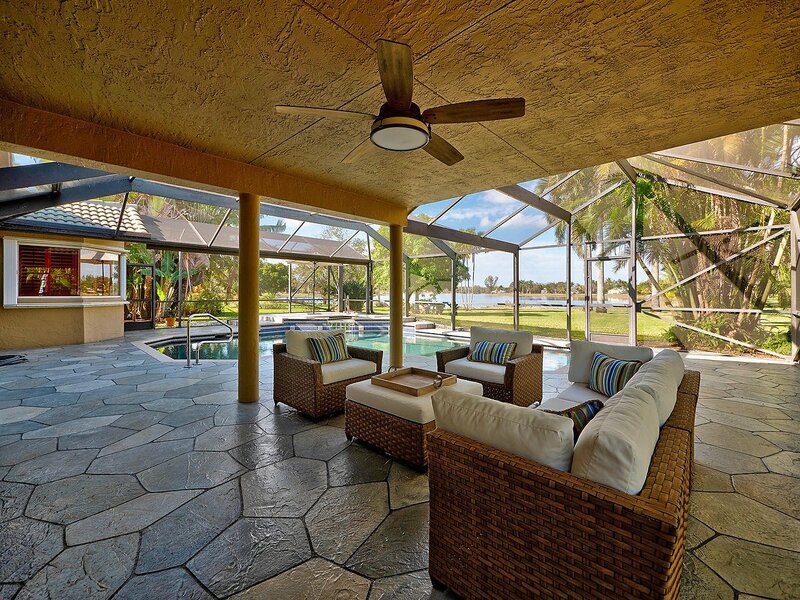 Large sliders allow the fresh Florida breeze into the home, as well as provide access to a great entertainment space. 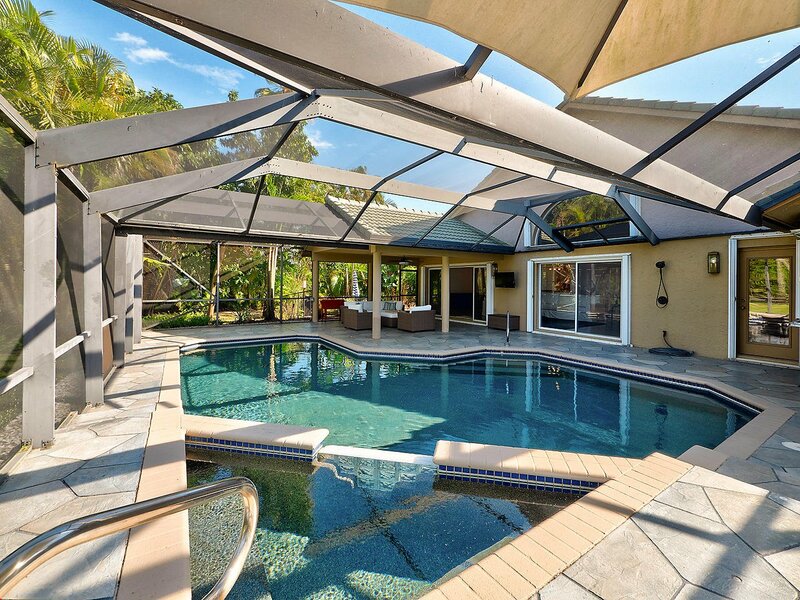 The covered and screened in patio allows you to enjoy the refreshing pool and spa, or lounge and watch TV! 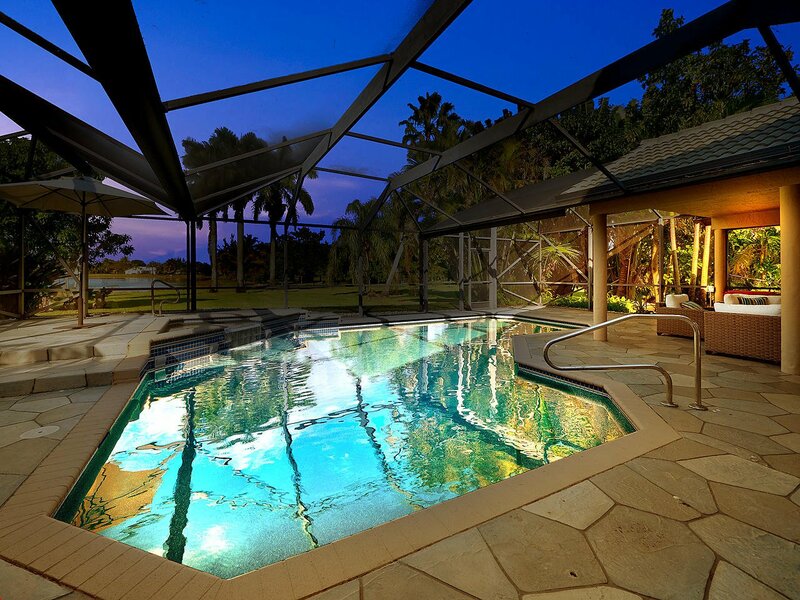 The pool is on a salt water system and is equipped with a heater. 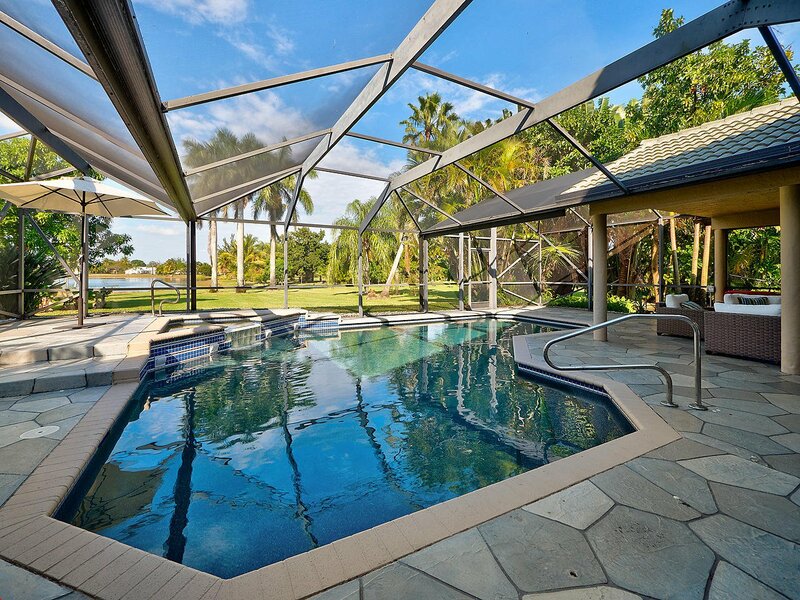 There is also an outdoor cabana shower! 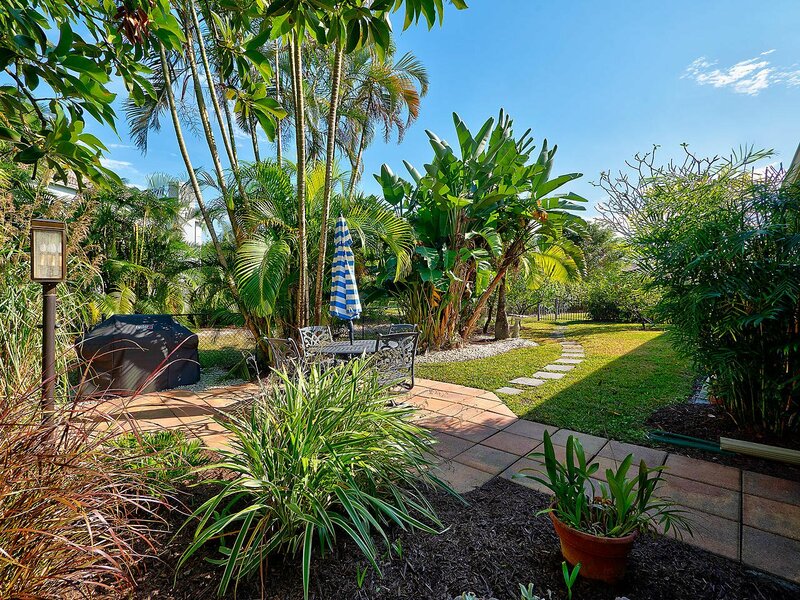 Beyond the covered patio, the huge backyard is lush and home to a variety of fruit trees. 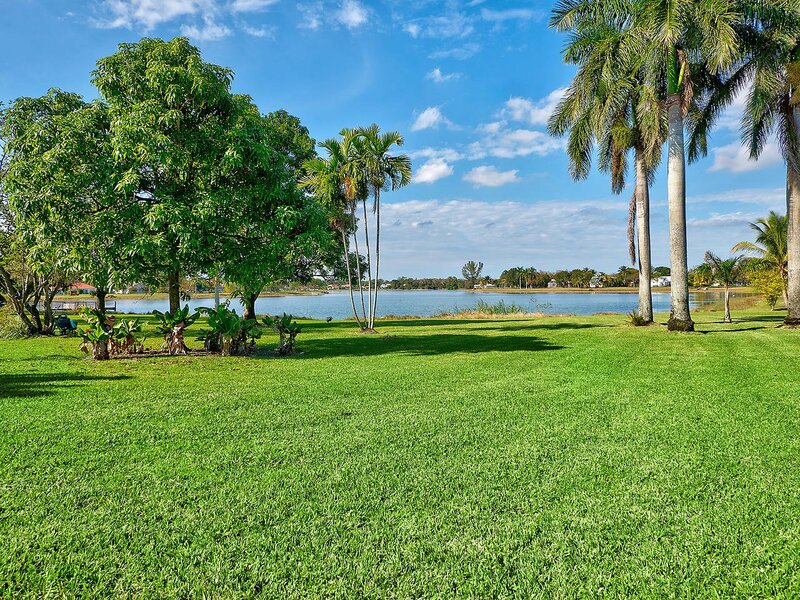 You will find mangoes, avocados, bananas, oranges, lemon, cherry, pomegranate, coconut, macadamia nut, pineapple and pomelo. 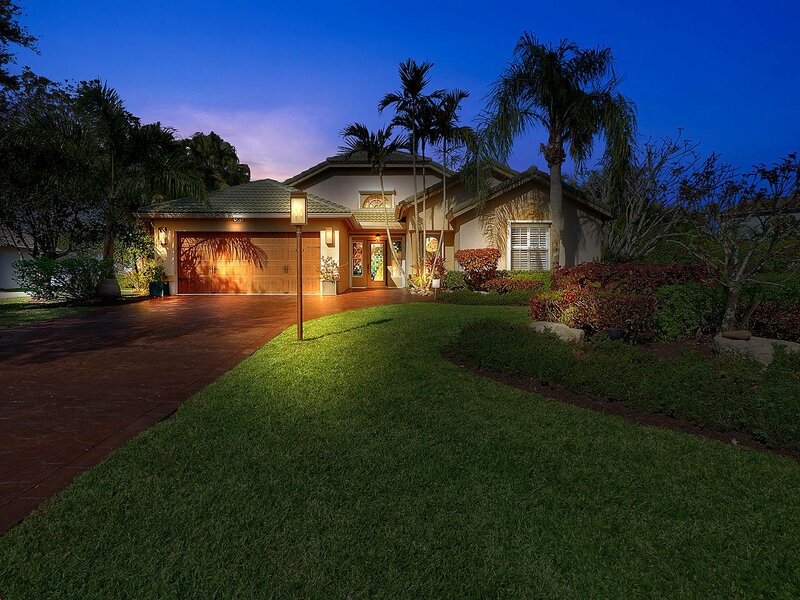 To the side of the home, you will find another great space for smaller gatherings or just relaxing. 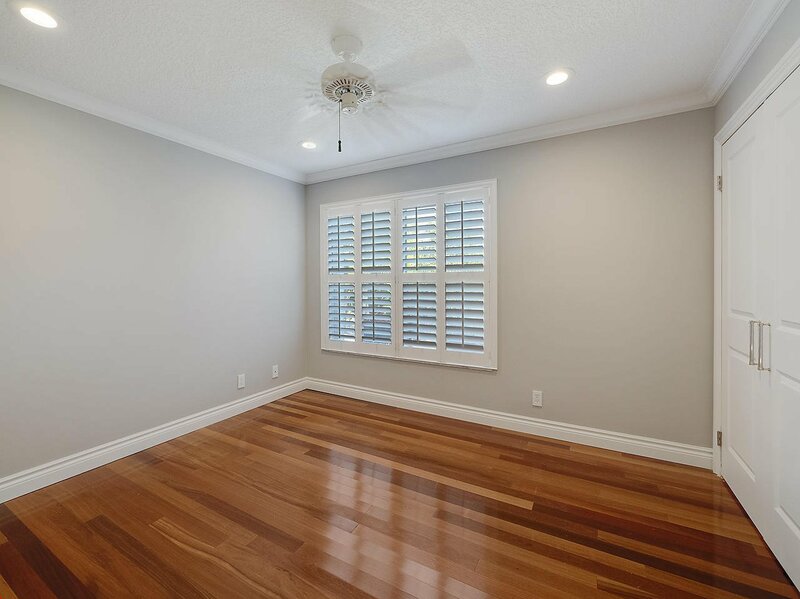 The home is prepped with a complete set of accordion shutters for those Florida hurricanes. 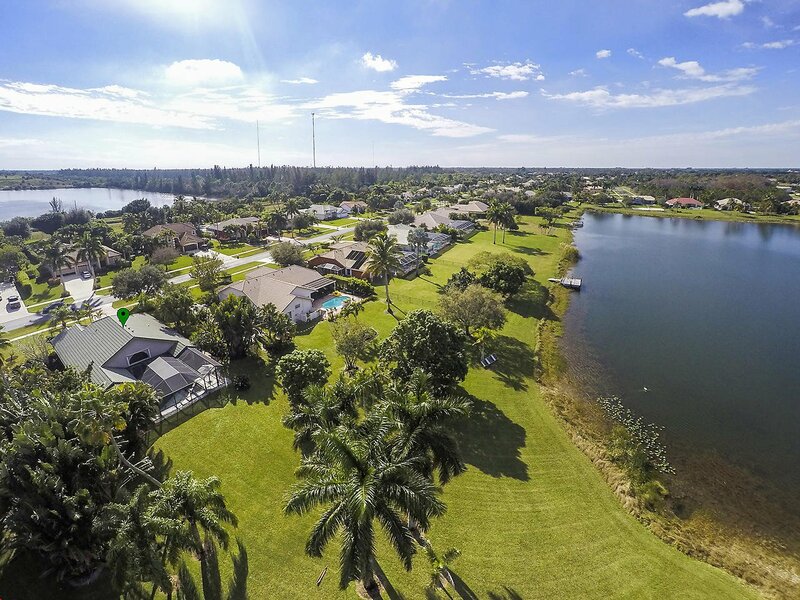 Community amenities include tennis and basketball courts. 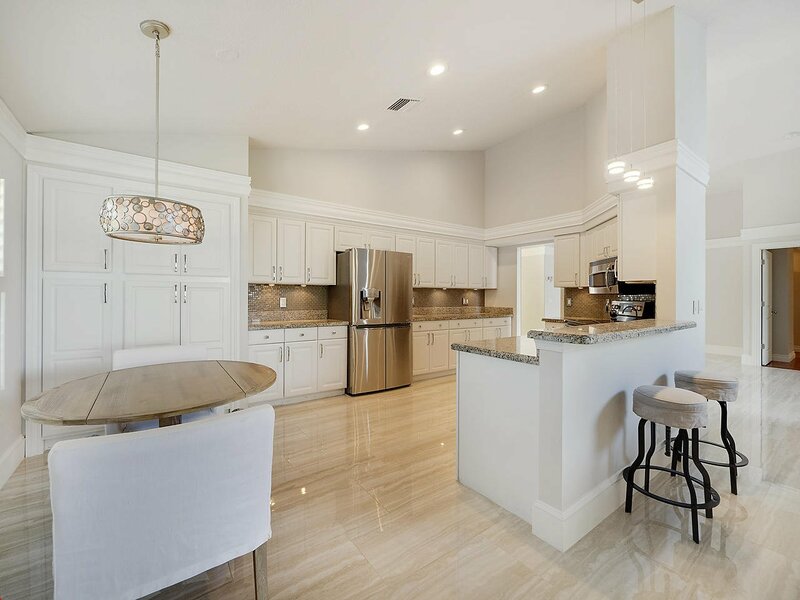 Don't miss out on making this your new home. 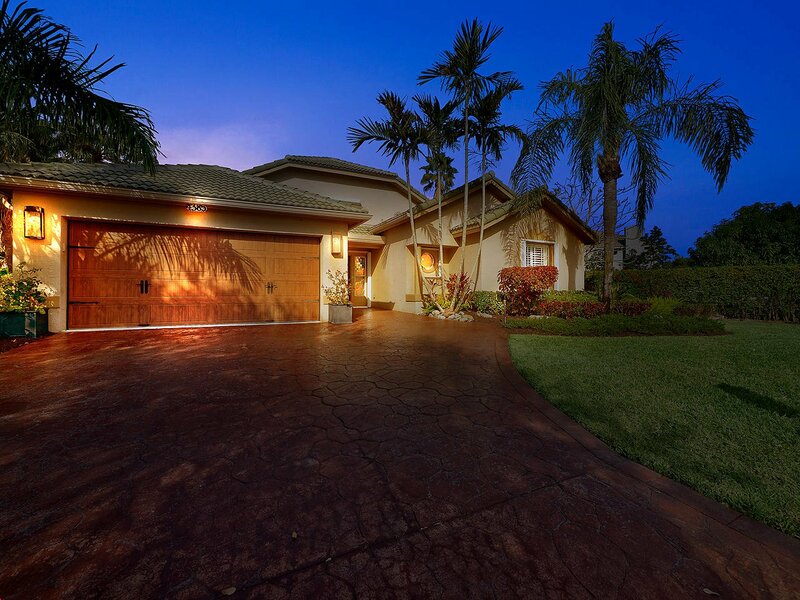 Schedule your showing now!